The Augmented Water device helps you save water by turning red after one Liter. 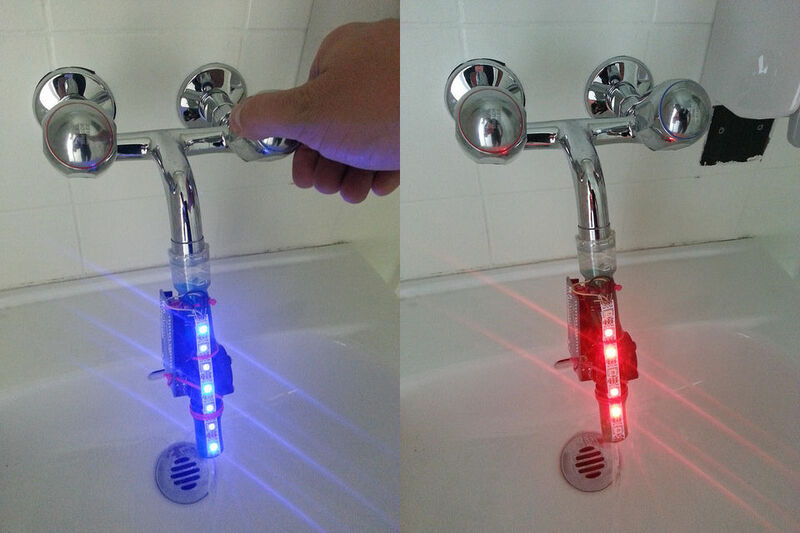 The device, built by @tamberg during a water hackathon, is made from an Arduino, a flow sensor and coloured LED pixels. Take care to solder them to the right end of the strip. Compare the little arrows printed on the strip with the picture. Read Adafruit’s Neopixel best practices before connecting the pixels. Change the number of pixels to fit your short strip. Upload the code to make sure the pixels work. Connect the flow meter as indicated in the source code. Rename .pde to .ino, open it and upload the code to the Arduino. 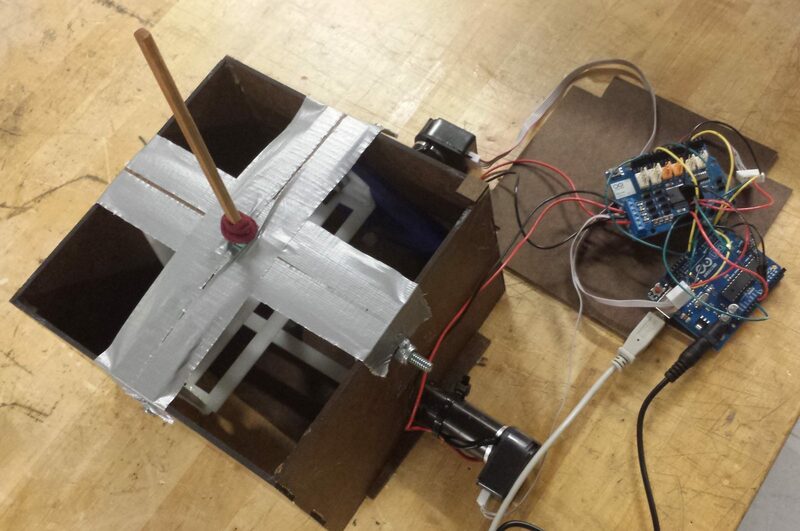 Testing works fine without water by blowing some air through the sensor. 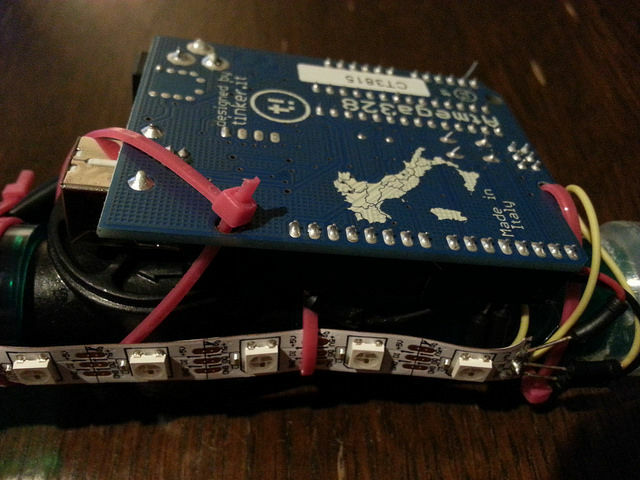 Upload the code to the Arduino and test it. Your lung volume is hopefully larger than 1 Liter. Use the serial monitor of the Arduino IDE to see numbers.